Every SAP BW query or BEx query is associated with ABAP report. The report basically represents what the query does in SAP BW backend. For example there is BEx’s report selection screen in form of ABAP statements, all the data variables declarations, calls to BW data manager etc. Sometimes it is useful to have a look into the report to see things like these. The report is generated whenever the query is saved in BEx Query Designer. 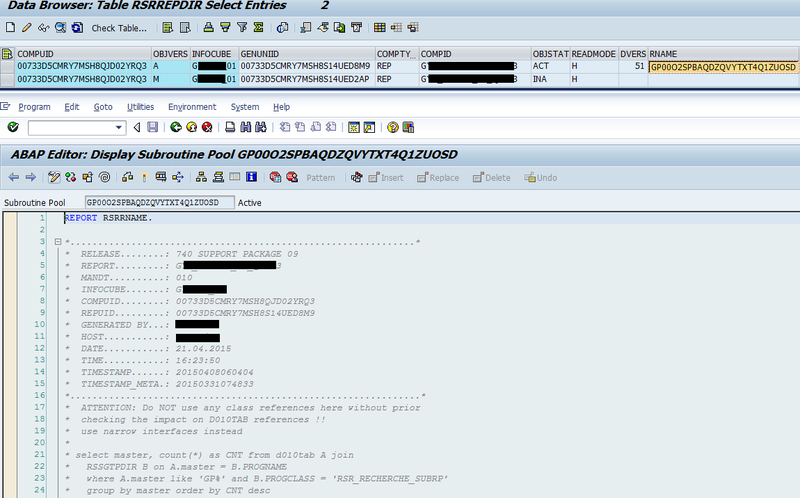 Also whenever the query is regenerated in tcode like RSRT the new report is generated. The report has naming convention GP*. The hash followed after GP is generated string. Every time generation happens the old GP* replaced by new one. Is SAP software used in surveillance?